Dr. Babak Bahar is a blood and cancer diseases specialist. He is an assistant professor at Tehran University of Medical Sciences. 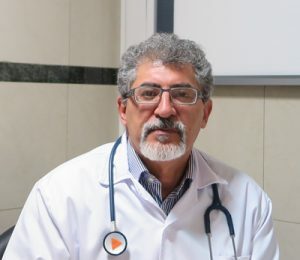 Dr Bahar is a faculty member of Tehran University of Medical Sciences and an associate professor of blood and cancer and bone marrow transplant at Shariati hospital of Tehran. He is a member of the European Society for Medical Oncology (ESMO) and a member of the American Society of Clinical Oncology (ASCO).